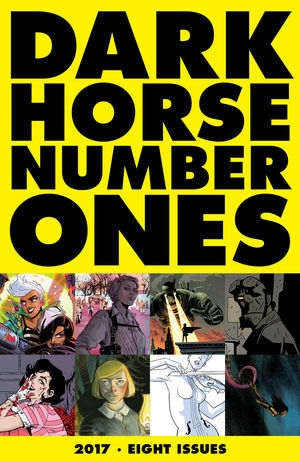 Dark Horse?s top talent invite you to find your next binge read! This anthology includes Gerard Way and Gabriel B? ?s The Umbrella Academy #1, Mike Mignola?s Hellboy in Hell #1, Jo?lle Jones and Jamie S. Rich?s Lady Killer #1, Jeff Lemire and Dean Ormston?s Black Hammer #1, Matt and Sharlene Kindt?s Dept. H #1, Brian Wood and Mack Chater?s Briggs Land #1, Kurtis Wiebe and Mindy Lee?s Bounty #1, and Cullen Bunn and Tyler Crook?s Harrow County #1.